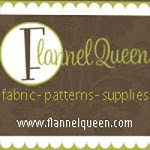 My Fabric Obsession: Springtime Moda Sale! A huge snow storm blew through this weekend, and I'm soooo ready for spring to arrive. To brighten my mood, I am running a sale on almost all of the fabulous Moda fabrics in my shop. Even Funky Monkey is on sale. check it out here! This sale runs until the end of March.